Pentaflex Packaging Limited, a diversified packaging company and a leader in innovative packaging materials, is a part of the Polypack Group, in existence for nearly 50 years. As a Montreal-based producer of resealable pouches and rollstock film for various industries, Pentaflex Packaging ensures that quality is part of its everyday activities. 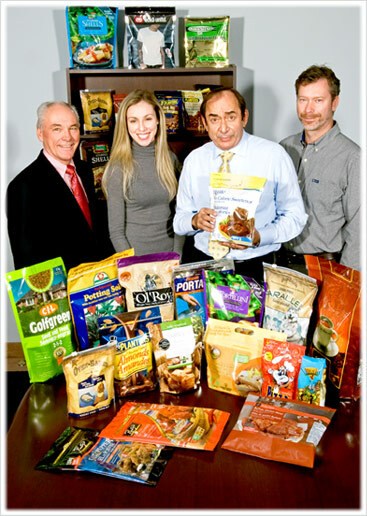 While specializing in the food service industry, producing flexible packaging for meats, poultry, vegetables, cheese, ice cream, snacks, chocolate, and coffee, among other items, Pentaflex Packaging also serves the pet food, lawn care, and pharmaceutical industries. Our customers are loyal, and we return the favour with value-added services, cutting-edge innovation, and superior customer service. Our employees are respectful, and we parlay that internal, family-like respect into how we work with our customers. leader in producing high quality products that meet exacting industry standards, and we consistently set ourselves and our customers up for future growth by being an industry leader in Research & Development.